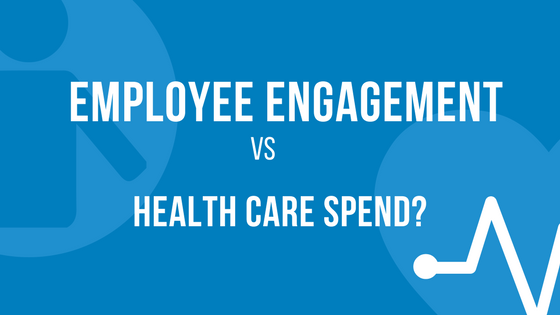 What’s the difference between wellness programs designed for employee engagement and those that reduce health care costs? Ideally, your business’s wellness program will do it all. It’ll make employees happier, healthier, and more productive. An engaging program will also help to attract and keep enthusiastic employees. And it’ll eventually reduce health care spending. Realistically, it’s probably doing more of one thing than the others. So step one: figure out which is most important to you and ask yourself what you’re trying to achieve. A program that’s geared for employee engagement will be tailored a little differently than one to reduce health care costs. You can certainly build a solution to tackle more than one workplace issue, but knowing your top priorities from the beginning can help you design a surefire plan to hit your goals. Healthy employees are more productive, hands down. Studies have found that those who improve their health and lifestyles are not only more focused, they also save companies money in lost time from “presenteeism,” being physically present at work without actually contributing. And while it’s hard to put a pricetag on team morale, an engagement-based program can help your employees feel more fulfilled, loyal, and appreciated. Social fitness activities can help employees bond with one another, while enjoying all the benefits of fitness. Charity walks, on site group fitness classes, and group challenges are all great ways to bring employees together and increase engagement. The best way to make your program feel personal? Actually make it personal. Reimburse employees for checking into their favorite gym or for participating in fitness activities they love or express interest in wanting to try. Encouraging a healthier lifestyle outside of work will make employees feel like their employers care. Create regular fitness challenges that encourage employees to make healthy choices every day, whether that’s increasing steps taken per day, drinking more water, or engaging in healthier sleep habits. We’ve seen employers have success by providing small daily incentives, or one large prize at the end of a longer competition. You decide, as long as it encourages employees to exercise at regular intervals. Healthy habits are the foundation for healthy lifestyles. In short, programs that reduce health care costs should focus more on encouraging employees to have healthier habits with smaller incentives. A program that aims to improve employee engagement will make the employees feel more appreciated and should incorporate slightly larger incentives. Need more ideas on creating a wellness program that fits your unique workplace? Schedule a call to learn how to meet your goals.